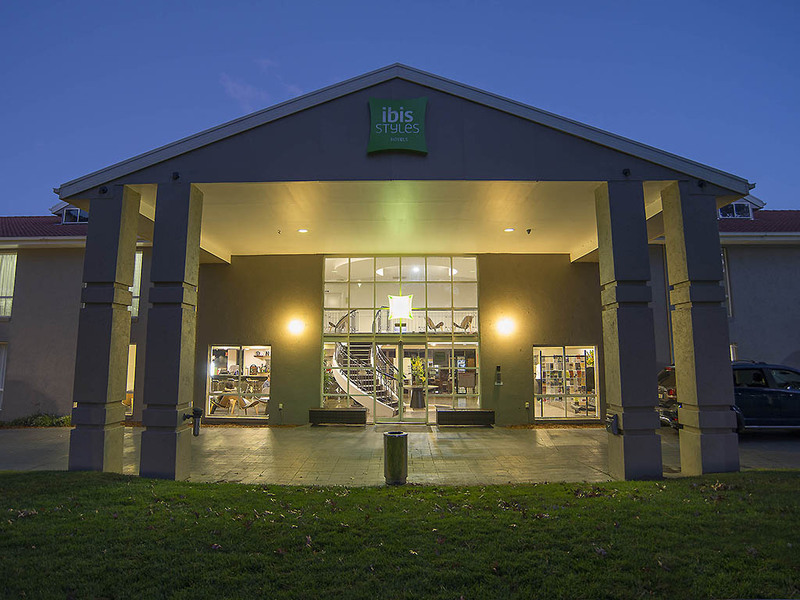 Located in the quiet suburb of Narrabundah, ibis Styles Canberra offers the best of both worlds - a peaceful retreat, which is just minutes from the many attractions of the city. Guests staying at this impressive Canberra hotel are within easy reach of th e city centre, major government offices and Canberra Airport. Guests can discover Canberra's fascinating cultural and historical attractions, such as Parliament House and the National Museum of Australia, and its many restaurants, bars, shops and parks. How can housekeeping not notice a broken bed two days in a row??? This is a great base if you are staying in Canberra. Fairly cheap, could do with a few updates. Most disappointing on this stay was that the main bed was broken and we did not realise until late in the evening. I raised it with reception before breakfast and was assured something would be done. By 4pm it was obvious nothing was going to happen so I approached reception again. Finally housekeeping inspected and we were moved rooms. My question to the housekeeping supervisor was how could someone have made the bed two days in a row and not noticed. I am still waiting for management to contact me. Room was ok, however we were placed in a room near a sporting team who were extremely loud. Calls to reception to report the noise were not answered. We also found our room stripped \ cleaned prior to checkout time, meaning we could not use the shower facilities - extremely disappointing considering the 1100 checkout was one of the reasons we chose this hotel. Standard room, excellent service. There was a mix-up with our zoo tickets that was resolved quickly in the morning for us. good value for money - very small bathroom. I work out of Canberra 2 days a week every week. So I do stay at your hotel quite a bit and if not yours one of the other Accor properties. This visit I noticed a lack of customer service. From not receiving the usual welcome back note in the bedroom/ water to after asking the receptionist to follow up with missing Accor points this not being done. I also found the restaurant not having the dishes available that were on the menu. I also had TV issues which took a few hours to resolve. The new phone system did not work so I could not place a room service order. Comfortable, No lift etc to help with bags and Guest could not open all doors from the outside making us take the long way round. It's been 2 years since I last stayed at this hotel with my mates, the room was clean and the staff were as friendly as l remembered. Highly recommend. Very comfortable stay, away from the city. The location is quiet and has ample parking. The only negative I found was fire blanket was missing in the kitchen, and the pressure gauge was reading zero for the fire extinguisher kept in the room. Has everything you need when traveling but rooms a bit dated and felt a little old and unclean. Layout was exactly what we wanted. We only stayed overnight but the bed was comfortable and the breakfast was great. Good value and will stay again. A good stay in affordable and comfortable accomodation with great service. Really easy, the staff are very helpful in the restaurant, check in, and the bar. This hotel has operated under several brands over the years. Ibis Styles being the most recent. Though out of town, we have often stayed here and found it good value. The most recent stay suggests that the management needs to monitor the operations more effectively. Our room, though comfortable and having a nice TV set, did not have a bed side lamp that worked. There was one for a two bed room, but it was unplugged. The electric socket was behind the bed and so we had to move it inorder to use it. Later, we then discovered that the reason it was unplugged is that you could not turn it off at the switch. So one had to move the bed again and unplug it before going to sleep. The staff must have been aware of this problem and so why did the management not fix it. The second problem was the bathroom exhaust fan. As in many placed, the exhaust fan is activated when one turns on the bathroom light. This is not normally a problem but the fan in this room sounded like a airplane engine. So if you went to the bathroom during the night, it was quitely likely you wake everyone around. Again, the staff should be well aware of the problem but the management has done nothing to fix it. Finally, the front desk seemed more bothered than pleased to serve customers So one hopes it was just the one room and stay in which one experiences these problems. Clean room and bathroom Entertainment System is BIG plus. New girl, booked us (54 & 61) onto top floor. The number on our key originally stated a ground floor room, which she changed upon booking in. After checking the room we asked if we could be booked onto ground floor because my husband has knee trouble. She then booked us into the room (which was available) and it was the original number on our key. We also ate dinner at the classy looking restaurant, only to find very few gluten free options for Coeliac. I enjoyed my meal which was overpriced for the standard, but after paying $33.00 for a rump steak and overcooked vegetables (my husband has been trying to lose weight and opted to have no chips. I cannot eat chips due to cross contamination of gluten...)which was suitable to be used for a steak sandwich y husband left quite disgusted. We live in Alice Springs and get better meals from a Sporting Club like a pub meal but with more options for gluten free. Further more, we are Accor Club members, and my husband is stated he wanted to throw the card away if this was the standard. The best thing about the stay was the cleanliness and comfort of the bed/room. The room was spacious. The staff were friendly and welcoming. The breakfast very good. Stayed at ibis Styles Canberra over two weekends recently. Once in a standard room followed on my 2nd visit stay where I was upgraded. Staff were always friendly and accommodating. Good facilities, Gym, Pool, Bar & Restaurant. Close to Bus services although plenty of parking at no charge. Location is within 5klms to Parliamentary Triangle and other Venues. All over, a great experience and will look at staying here on my next visit.